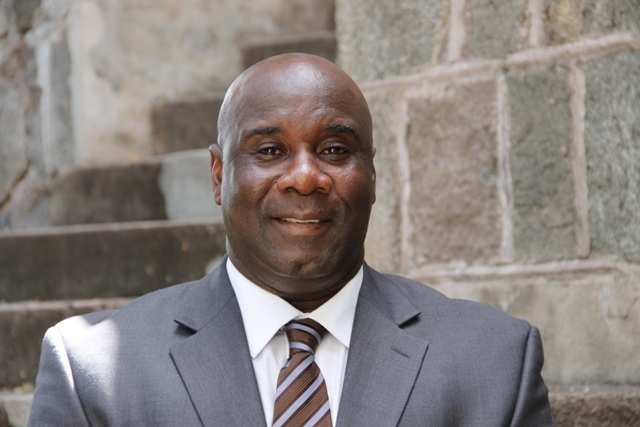 NIA CHARLESTOWN NEVIS (OCTOBER 16, 2015) –– The following is an address by Minister of Agriculture in the Nevis Island Administration (NIA) Hon. Alexis Jeffers, on the occasion of the Food and Agriculture Organization’s (FAO) World Food Day observed on October 16, 2015. I take this opportunity to greet you on the occasion of World Food Day 2015. World Food Day is a Food and Agriculture Organization (FAO) sanctioned observance celebrated on the 16th October each year. The activities associated with World Food Day provide an opportunity for us here in Nevis, to join nations around the world in the fight against hunger. Latest FAO estimates show that about 870 million people worldwide live in a state of daily hunger. Additionally, millions of people, including 6 million children under the age of five die each year as a result of hunger. They, unlike most of us in Nevis are unable to access food, clean water and low cost medical care. World Food Day is also observed to give Nevisians and residents a chance to join with people the world over, in strengthening the struggle for freedom from hunger and to offer all countries an occasion to highlight the crucial importance of food and agriculture to their people. The theme that has been carefully chosen to mark this year’s observance of World Food Day is “Social Protection and Agriculture, Breaking the Cycle of Rural Poverty”. This year’s observance, gives us the ideal opportunity to focus not only on our farmers, as we often do but also, to pay attention to the less fortunate and more vulnerable in our communities. The efforts of our farmers and the Ministry of Agriculture at feeding our nation and feeding the world, must embrace the notion of breaking the cycle of rural poverty. This year’s theme “Social Protection and Agriculture; Breaking the Cycle of Rural Poverty,” not only speaks to the role of social protection in eradicating hunger and poverty but highlights the need for meaningful and sustained collaboration in realizing common goals across government ministries. Consequently, the Ministry of Agriculture is extremely pleased to partner with the Department of Social Services, to host a number of activities to mark the observance of World Food Day 2015. We endeavoured this year, to re-introduce talks in schools and as such the focus was placed on secondary and primary schools, as a number of them were targeted for this activity. The schools visited were the Gingerland and Charlestown Secondary as well as the Ivor Walters, St. Thomas, Elizabeth Pemberton and Charlestown Primary Schools. I trust that both the students and teachers will respond positively to the information imparted and that we can see a resurgence of vegetable gardens in all schools across the island. The talks were conducted by staff from both the Departments of Agriculture and Social Services. St. Kitts and Nevis introduced its first ever National Social Protection Strategy in 2012. This strategy forms an important part of the government’s planning processes, to ensure that public resources are directed towards addressing the challenges of poverty and vulnerability across the Federation. Here on Nevis, the Social Services Department is currently implementing the first phase of this strategy which involves strengthening the social safety net. The launch of the Restore, Inspire, Secure and Empower or (RISE) Programme here on the island in September 2013, was the first major local activity. The Rise Programme seeks to effectively improve the beneficiary families’ educational, financial and psycho-social well-being. Some members of the RISE Programme, have shown an interest in small scale gardening, as a means of helping to feed their families and as a source of small scale income generation. In essence, the role of the Ministry and Department of Agriculture in helping Social Services to set up these families in small agricultural ventures, will be valuable to achieving the broader goals under the RISE Programme. The Department of Agriculture in collaboration with the Social Services Department, has committed to establishing a number of back yard gardens starting in the parishes of St. George, St. James and St. John. The individuals who will benefit from the establishment of these gardens are part of the RISE as well as the Yes to Success (YTS) Programmes. The World Food Day theme and willingness of the Ministry of Agriculture to strengthen its partnership with the Department of Social Services has, therefore, come at a critical time. The Ministry of Agriculture fully endorses the establishment of the backyard gardens and it is our hope, that the recipients will take full advantage of this opportunity to make a meaningful start in the field of Agriculture. It is also envisaged that this initiative will inspire other individuals in the respective communities to establish their own vegetable gardens. I take this opportunity on behalf of my Ministry, to thank the Department of Social Services for consenting to partner with us as we continue to bring awareness to the general public on the importance of Agriculture and the need to produce more and to eat more local products. I urge the Department to continue spearheading the RISE and YES Programmes and to try where necessary, to incorporate an agricultural component in such initiatives. We must always be cognizant of the importance of agriculture to the well-being of our population as well as the overall development of the island. As we celebrate World Food Day 2015, let us pledge to support efforts aimed at assisting our less fortunate and the more vulnerable in our communities. Let us all join in the effort to break the cycle of rural poverty and to fight world hunger. Moreover, let us all continue to eat more of what we grow and grow more of what we eat. Happy World Food Day to all and may God continue to bless us all.